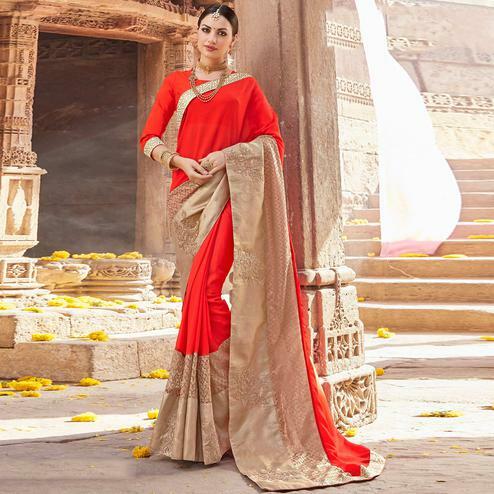 Saree signifies cultural pride, elegance, style and sense of traditional values. Wearing a traditional saree can make an Indian woman stand out wherever they go. 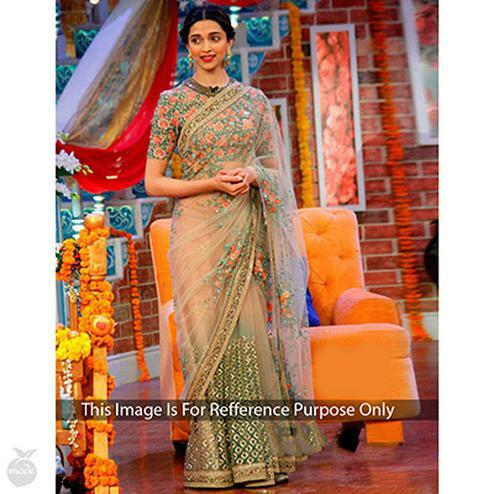 One of the flawless types of saree is a net saree. Net is one of the most sensual fabrics available in our fashion industry. Apart from net sarees it is also used in making net lehengas, anarkali suits, salwar kameez and other ethnic wear as well. 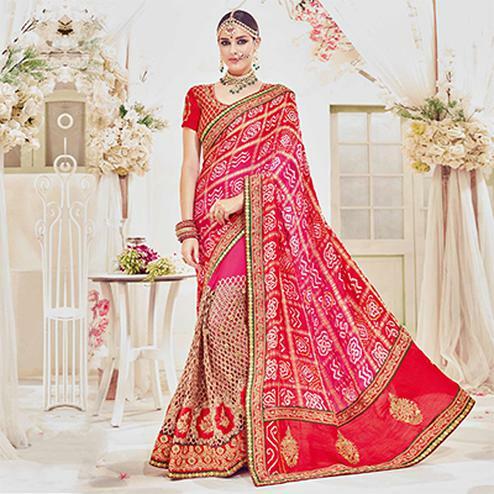 At peachmode we provide great variety of net sarees at incredible prices. 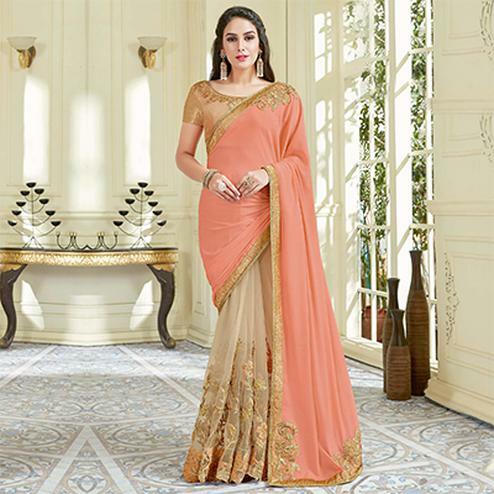 You can buy designer net sarees online at Peachmode, as our super net sarees are very stunningly textured and heavily ornamented. This can make you look royal in a go. 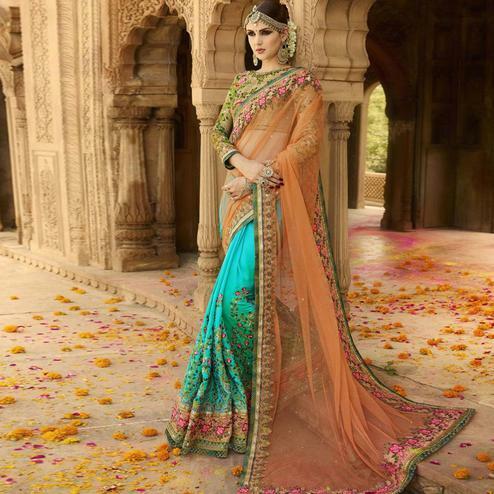 You undying beauty will get a touch of glow and shine with our amazing net saree collection. 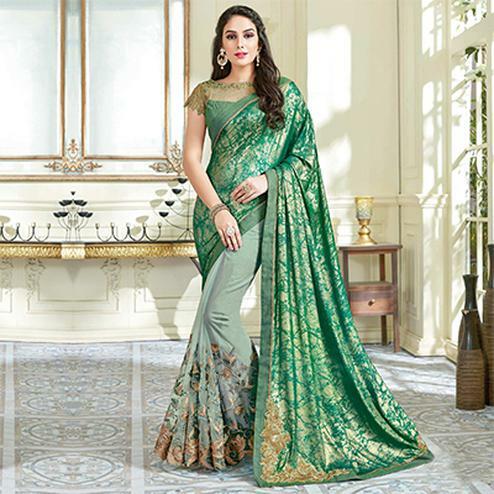 You can pair these sarees with matching jewellery to complete the look and stun any occasion you want. You will own the party and everyone in it. Net Fabric can be used for a vast variety of applications. In ethnic wear, it can be used to create sections of the saree, such as the pallu, and the dupatta of a salwar kameez set. In other cases, it can be used to create few elements of the garment in contrary to the whole piece. Another mind-blowing application can be as a layer over any other fabric to give the garment a fuller look. At the same time, it can be used to create aspects such as sleeves, a neckline, and hemline and so on. This style of net is made with the help of hexagonal mesh. This enables the net to be very thin and transparent and is mostly used in bridal wear to add more fullness to the garment. This is also a hexagonal mesh however, it is specially made from yarns of silk or nylon. This type of net is called this because it resembles a fisherman’s net. It is tied coarsely with larger openings in the yarn than its other counterparts. This form of net is made with the help of a square mesh. The holes that are formed are, therefore, hexagonal in shape and have a very diaphanous look. We use all these types of net to make a magnificent net saree. 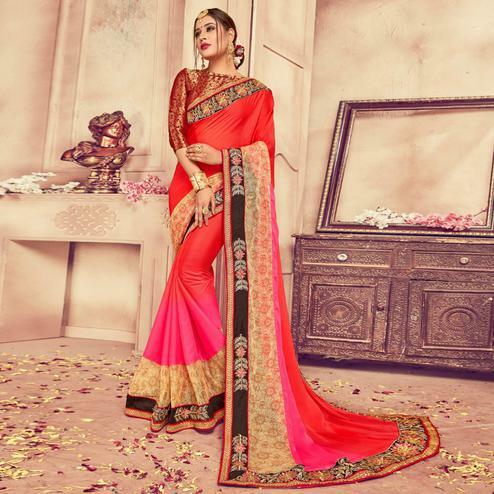 Our net sarees are at par with the need of our customers. They keep coming back for more and more.